One of the earliest poster/fliers I ever made. 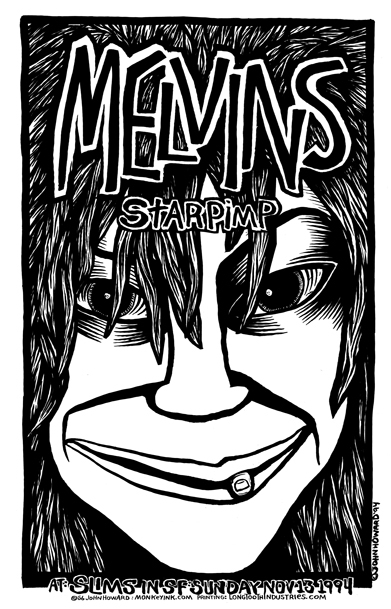 I reallyreally wanted to do a Melvins poster but in '94 I didn't know how to get in touch with them, so I made this drawing about the song 'Queen' off the just released Stoner Witch album, and made black and white 11x17 xeroxs. Outside after the show I handed them out to people leaving the show. It was crazy, I got mobbed and it was awesome. I loved giving everybody a little memento of that epic night. I was hooked.